For more information regarding careers, internships, and scholarship programs at NOAA please visit www.careers.noaa.gov or the Office of Education website for more information. USAJOBS: All federal job postings can be found here by searching for NOAA and/or Pacific Marine Environmental Laboratory. University of Washington: PMEL employs many individuals through our partnership with the Joint Institute for the Study of the Atmosphere and Ocean (JISAO) at the University of Washington. From the University of Washington employment site, search for "JISAO" to find openings at PMEL. Oregon State University: PMEL employs individuals at our satellite facility in Newport, OR through our partnership with the Cooperative Institute for Marine Resources Studies (CIMRS) at Oregon State University. From the Oregon State University employment site, search for "CIMRS" to find openings at PMEL Newport. National Research Council - The mission of the NRC Research Associateship Programs (RAP) is to promote excellence in scientific and technological research conducted by the U. S. government through the administration of programs offering graduate, postdoctoral, and senior level research opportunities at sponsoring federal laboratories and affiliated institutions such as PMEL. University Corporation for Atmospheric Research (UCAR) - UCAR serves as a national hub for research, education, and advanced technology development from the atmospheric and related Earth sciences. Their mission is to empower their Member Institutions, their National Center, and their Community Programs by promoting research excellence, developing fruitful collaborations, managing unique resources, creating novel capabilities, building critical applications, expanding educational opportunities, and engaging in effective advocacy. UCAR's community programs strengthen education, research, and technology in the atmospheric and related sciences through programs and projects that train professionals and university faculty in the latest meteorological research, provide real-time weather observations and analysis tools for education and research, support satellite-based Earth and atmospheric monitoring, support participation in STEM (science, technology, engineering, and mathematics) by students from all backgrounds, develop atmospheric, Earth science, and related STEM teaching materials, help organize multiagency experiments, workshops, and conferences, manage postdoctoral fellowship programs for federal agencies, link universities and operational forecast offices, provide resources for constructing and organizing digital learning tools. University of Washington's Joint Institute for the Study of the Atmosphere and Ocean (JISAO) - The JISAO post-doc program has been and continues to be highly successful because post-docs are given the opportunity to construct their own research project, which encourages them to think broadly and also work closely with the distinguished scientists at the UW and the NOAA laboratories. The program is primarily interested in post-docs whose research interests are aligned with the JISAO research themes: atmospheric science, oceanography, climate, and fisheries science. 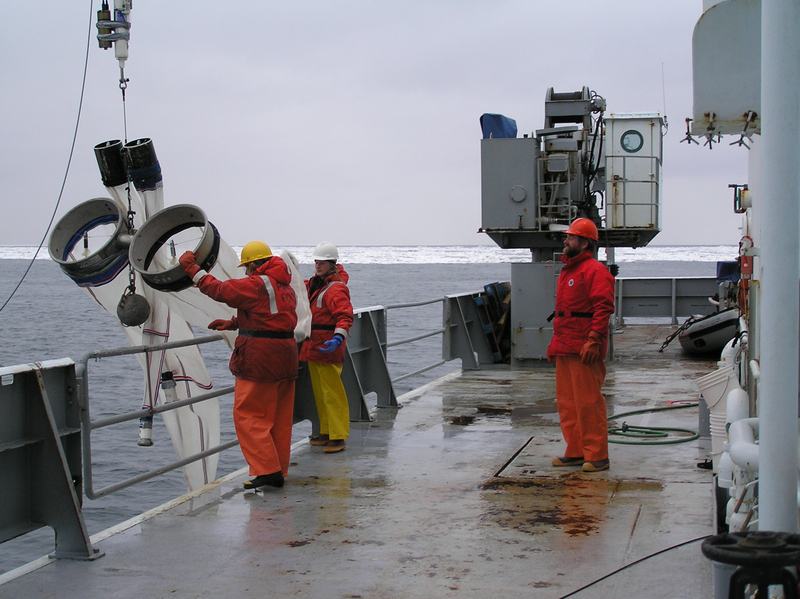 NOAA Ernest F. Hollings Scholarship Program (Hollings Scholars) - PMEL researchers routinely work with NOAA Hollings Scholars during their 10-week, full-time internship position portion of the program. Applications open each year in September applicants must be currently enrolled or accepted as a full-time 2nd year student in a four-year academic program or as a full-time 3rd year student in a five-year undergraduate program. See more about the program on our education page. APPLICATIONS ARE DUE JANUARY 31 EACH YEAR. Educational Partnership Program Undergraduate Scholarship - This opportunity is for rising juniors to study disciplines relating to NOAA's mission who are attending Minority Service Institutions. Applications open each year in September applicants must be currently enrolled or accepted as a full-time 2nd year student in a four-year academic program or as a full-time 3rd year student in a five-year undergraduate program. See more about the program on the NOAA Education Page. APPLICATIONS ARE DUE JANUARY 31 EACH YEAR. National Science Foundation Research Experiences for Undergraduates (REU) - The National Science Foundation (NSF) funds a large number of summer research opportunities for undergraduate students through its Research Experiences for Undergraduates (REU) program. The students are hosted at various universities across the U.S. where they work closely with faculty mentors and researchers on individual research projects. Learn more about the NSF-REU program on the National Science Foundation website and back REU students on our education page. Oregon State University: From Estuaries to the Deep Sea - Oregon State University is proud to announce the availability of paid research internships for 20 students during each summer. Ten students will be located at the Hatfield Marine Science Center (HMSC) on the Pacific coast in Newport and another 10 located at the College of Earth, Ocean, and Atmospheric Sciences (CEOAS) in Corvallis. Funded by the National Science Foundation, the Research Experience for Undergraduates (REU) program offers students the unique opportunity to work on individual research projects, and participate in group field trips, seminars and science colloquia over a 10-week period at CEOAS and HMSC under the guidance of university and research agency scientists, who serve as mentors. JISAO Summer Internship - Summer research opportunities are available yearly for 5-7 undergraduate interns through the University of Washington's Joint Institute for the Study of the Atmosphere and Ocean (JISAO). Interns are matched with a research project within one of JISAO’s seven research themes and work with a JISAO, NOAA, or University of Washington (UW) scientist at either the UW campus or the NOAA Northwest Regional Center in Seattle. ​APPLICATIONS ARE DUE FEBRUARY 1 EACH YEAR.